P.E.I. 's provincial bird, the blue jay, is plentiful and plenty visible at feeders and in the wild across the Island. What's special about these handsome birds besides their special status? P.E.I. 's provincial bird, the blue jay, is plentiful and plenty visible at feeders and in the wild across the Island. The jay became the provincial bird back in 1977 after a province-wide vote. What a hoot! 10 fun facts about owls on P.E.I. What's so special about these handsome birds besides their special status? Avian expert Dwaine Oakley is president of the Island Nature Trust and teaches wildlife conservation at Holland College in Charlottetown, and he shared some fascinating facts about blue jays. They are very forward when it comes to backyard feeders, driving away most other smaller birds for a short period of time, Oakley said. "But even between blue jays there is a pecking order as to who gets to gather food first," he said. If you watch carefully you will notice this at your own feeder. To help smaller birds, Oakley advises purchasing another feeder with a cage around it that prevents larger birds like jays from getting in. While most blue jays stay in woodland on P.E.I. all year round, some of them migrate short distances to New England each fall and spring. "On P.E.I. 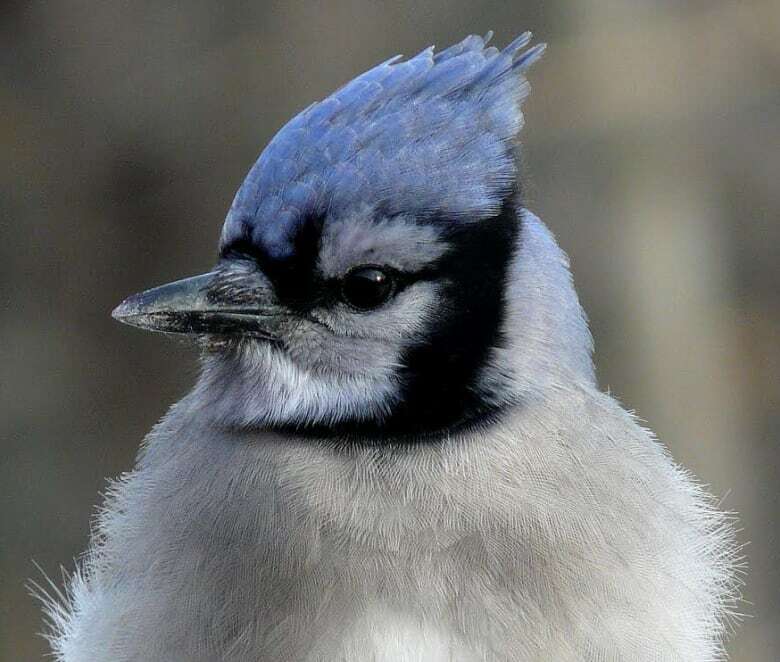 look for migrating blue jays at East Point in September where flocks up to 100 to 150 can be seen near the lighthouse on some days crossing over to Nova Scotia on their way south," Oakley said. 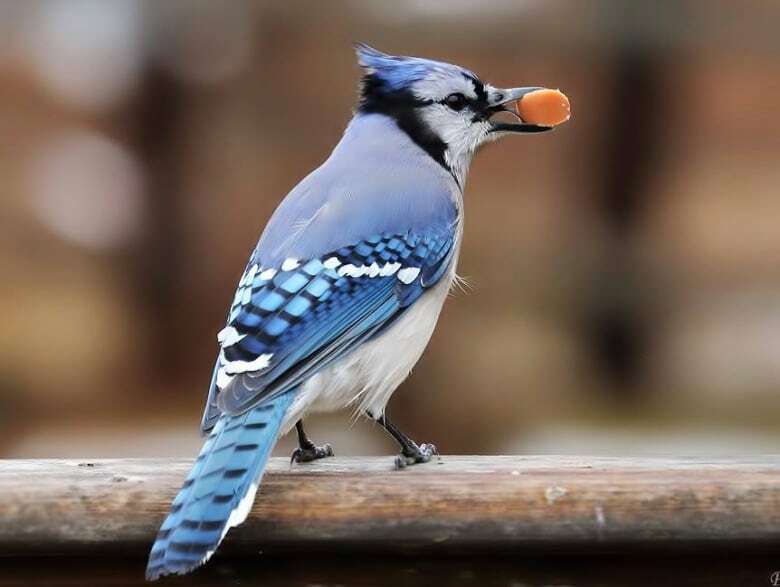 Blue jays will cache or store food to eat at a later date. 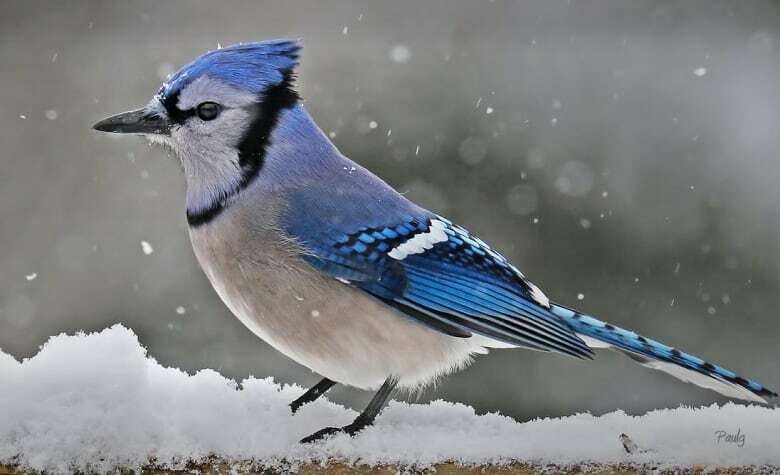 "At backyard feeders blue jays can be seen filling up their crops with sunflower seeds to store in hiding places elsewhere in nearby woods. They will cache thousands of seeds in the run of a year," Oakley said. Some people think they're eating all of the seeds at once but they're actually hiding them for later. "What is interesting is they do not find all of the cached seeds and sometimes sunflowers can be found growing in unusual places," he said. 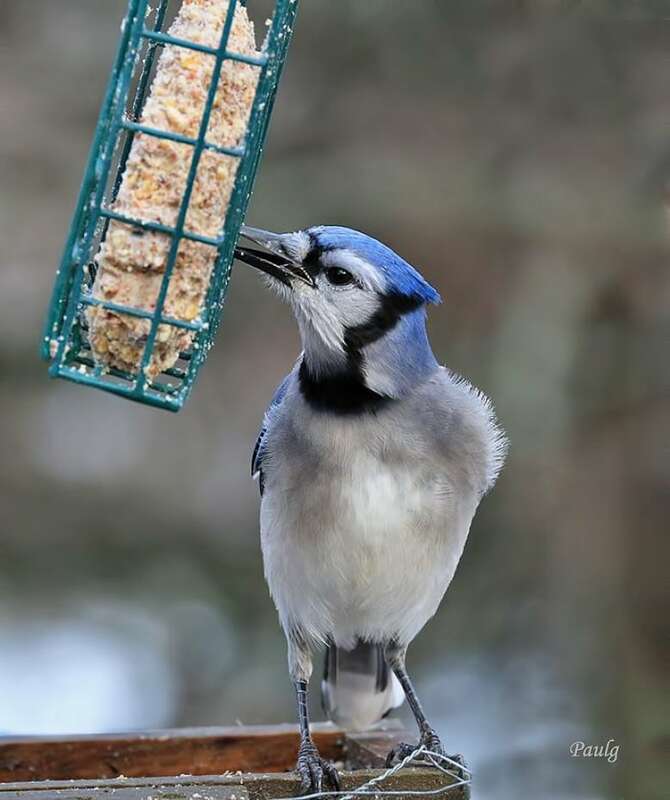 A blue jay's favourite food at feeders is peanuts still in the shell, Oakley said. "I even had some birds who came inside the house through the open patio door to help themselves to peanuts that were by the door in an ice cream container. Now that is a bold bird!" "When it comes to nesting, they form pair bonds which last several years just like the Canada goose," Oakley reveals. In spring, jays make a stick nest from one to 30 metres above ground in a tree, usually use a dense conifer tree such as spruce, to conceal their nest. Once a year they lay an average of three to five eggs that are bluish or light brown with brownish spots. From when the eggs are laid to leaving the nest, blue jays mature in about 40 days. Blue jays are a nest predator to other birds and will eat the eggs and chicks of other birds. "Not a nice behaviour, but explains why you may see an American robin aggressively chasing a blue jay in your yard in the spring," explains Oakley. Blue jays are great mimics of other bird calls and frequently mimic raptors such as hawks, said Oakley. "One of my favourite calls they can do is the osprey. More than once I have heard the call of an osprey and had to do a double-take only to find a blue jay making the call," he said. "Jays are well known for their raucous jay calls but my all-time favourite call they make sounds like someone putting out the laundry on a squeaky clothesline. 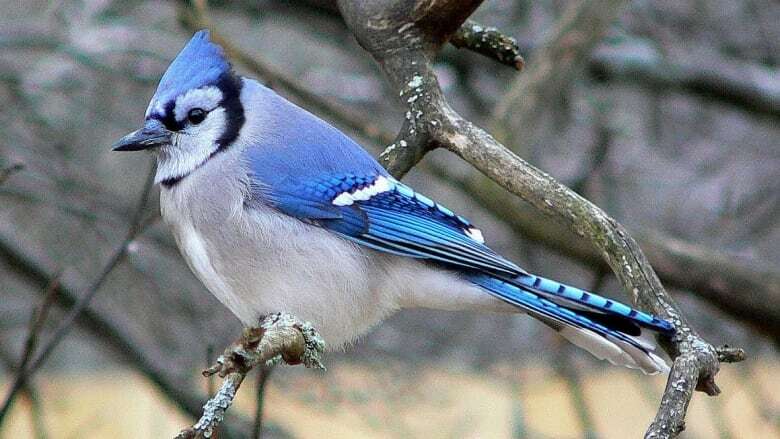 Many people are amazed when they find out it is the blue jay making that sound!" Blue jays belong to the Corvidae family which includes crows and ravens, which are very intelligent, said Oakley. Evidence of this cleverness: They use their loud jay calls to mob predators like hawks or cats. "Several jays will land near the predator and call loudly until they drive the predator away. 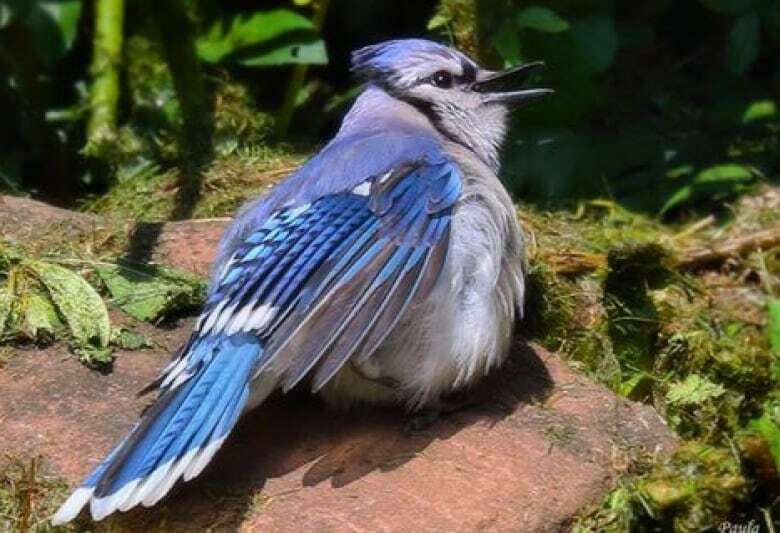 So the next time you hear blue jays making a loud noise in your back yard take a look around and you may just find a raptor or cat lurking nearby," said Oakley. Sometimes people will find bald blue jays at their feeders at this time of year, Oakley said. "This is usually due to them molting their head feathers all at once and not a result of disease so there is no need for alarm if you see one at your feeders," he said. MORE P.E.I. NEWS I ANALYSIS How much will P.E.I. 's HST increase dig into your wallet?